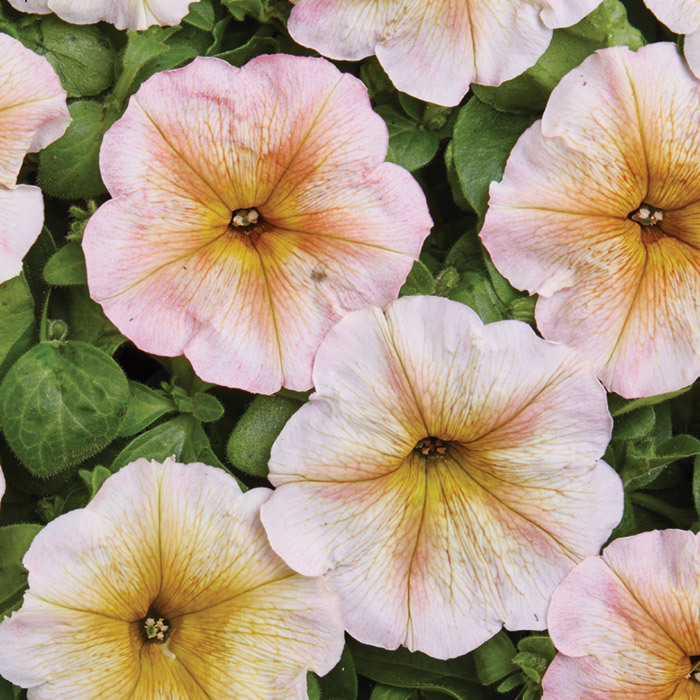 Hybrids resistant to bad weather. Plants reach a height of 30–35 cm, well-branched, free flowering, flower size 5.5–6.5 cm, suitable both as a bedding plant and for balcony boxes and containers. 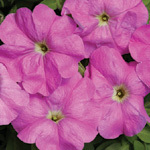 Rapid recovery from rain damage. 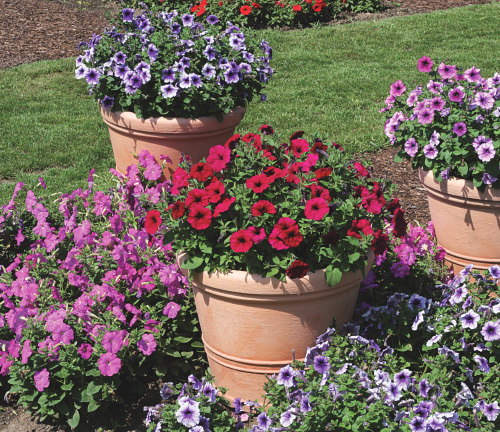 Ideal for the use in city parks and gardens. 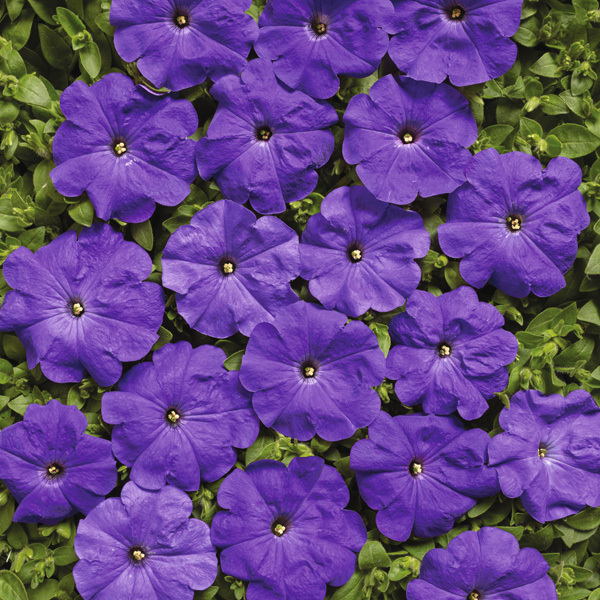 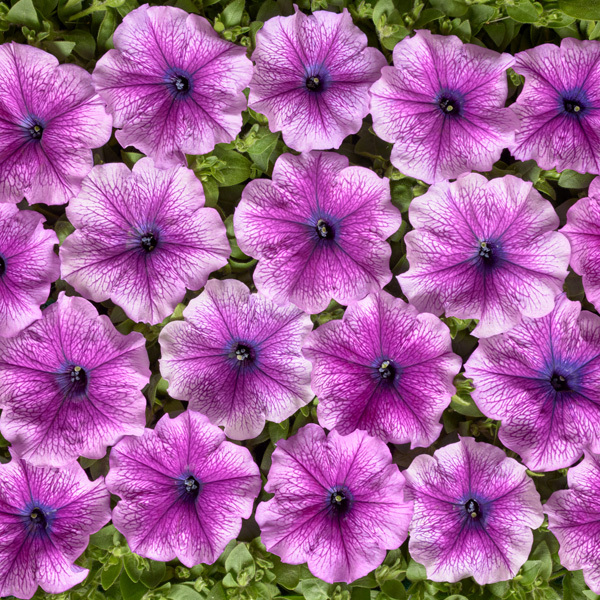 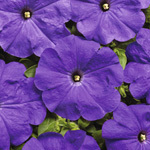 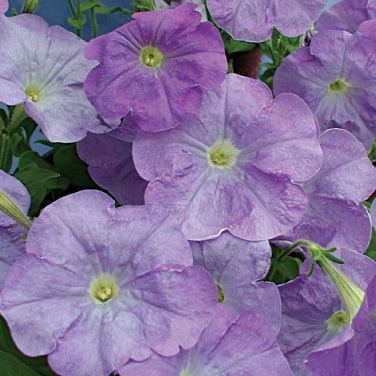 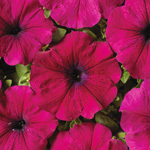 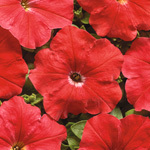 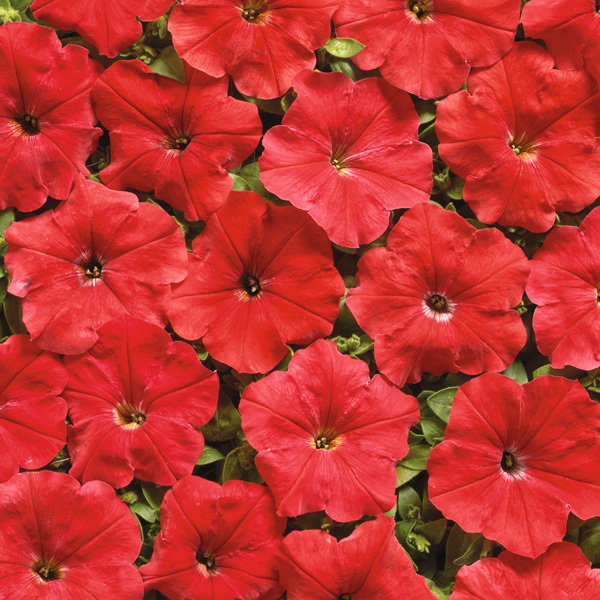 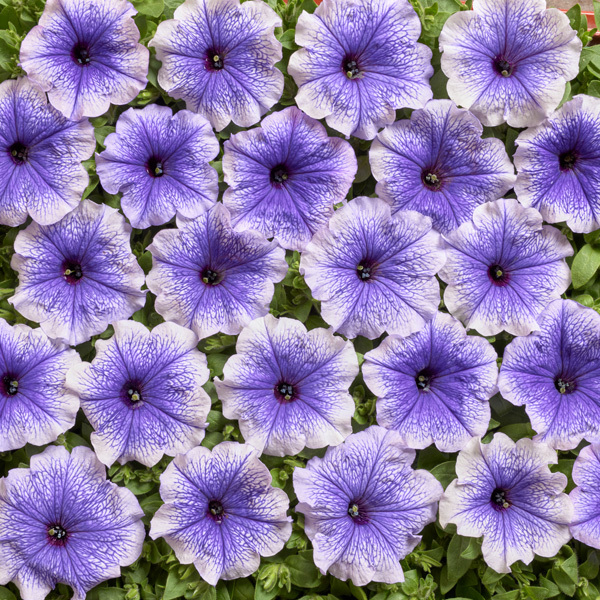 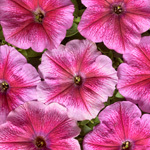 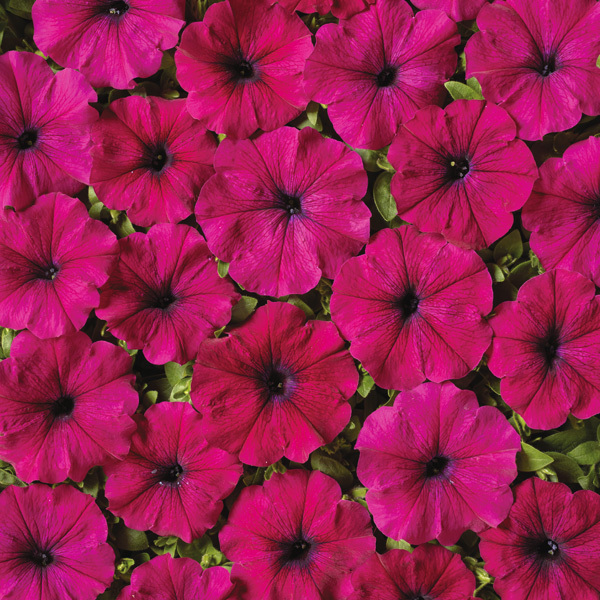 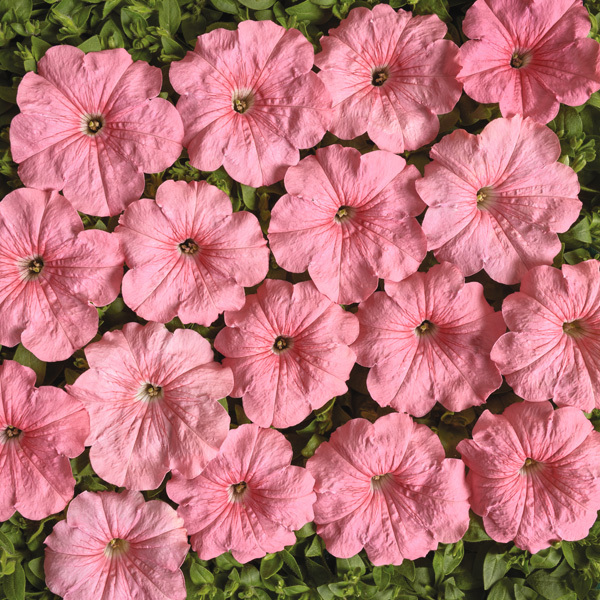 A new shade in the multiflora petunia varieties product line. 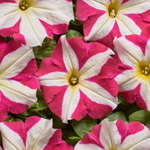 Bright pink blossom with tall yellow gorge following the main venation pattern up to the blossom. 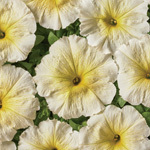 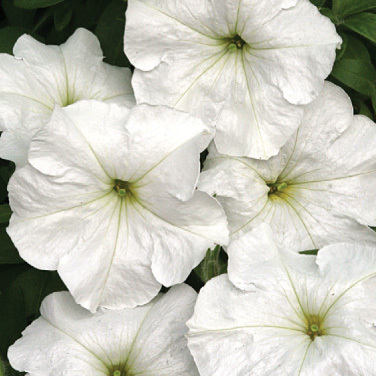 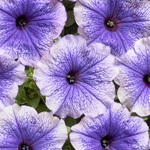 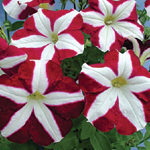 The latest shade, unique in the world, that provides a completely new dimension to the group of multiflora veins in a star petunias. 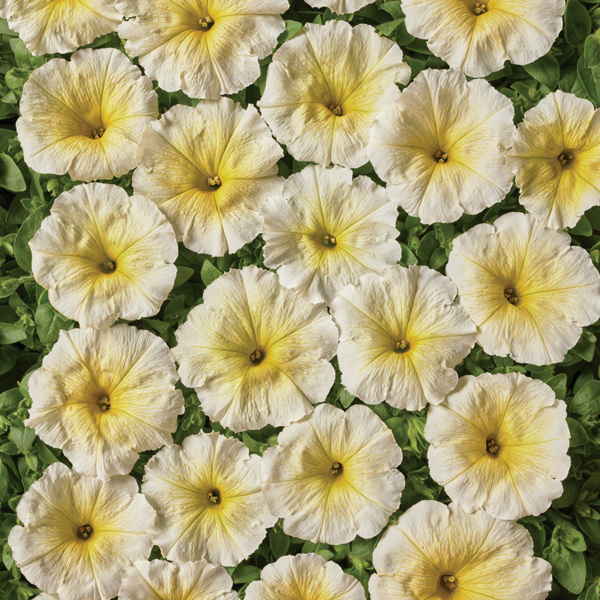 It flowers with rich beautiful creamy yellow blooms with distinct brownish-yellow veins stemming from the gorge and reaching up to one third of the flower. 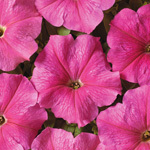 The plants are well-branched, compact, growing to a height of 30–35 cm. 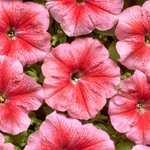 Diameter of the blooms ranges from 5.5 to 6 cm. A new shade that supplements the group of varieties with a star-like venation pattern around the gorge. 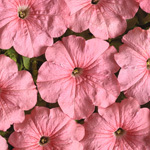 Blossoms are light salmon pink in colour with a distinctive dark salmon pink star-like venation pattern around the gorge. 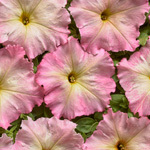 These are spreading plants, compact, achieving 30 cm in height and very rich in blossom, with a blossom size of 5.5–6 cm. 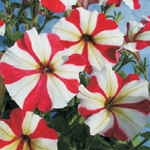 An improved type of a variety introduced earlier. 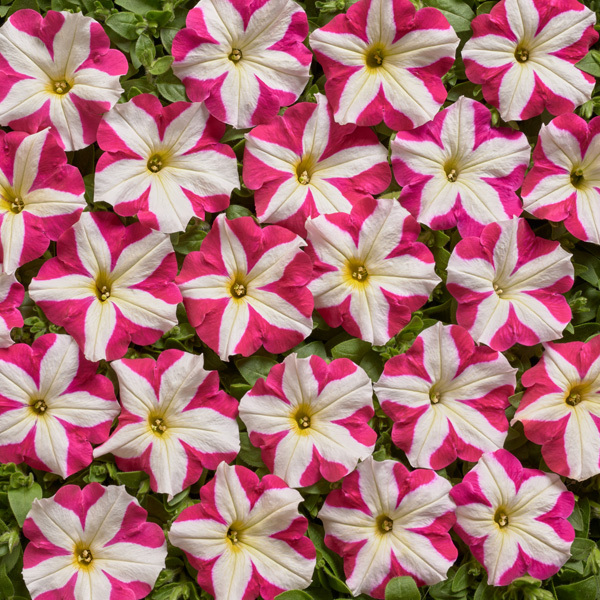 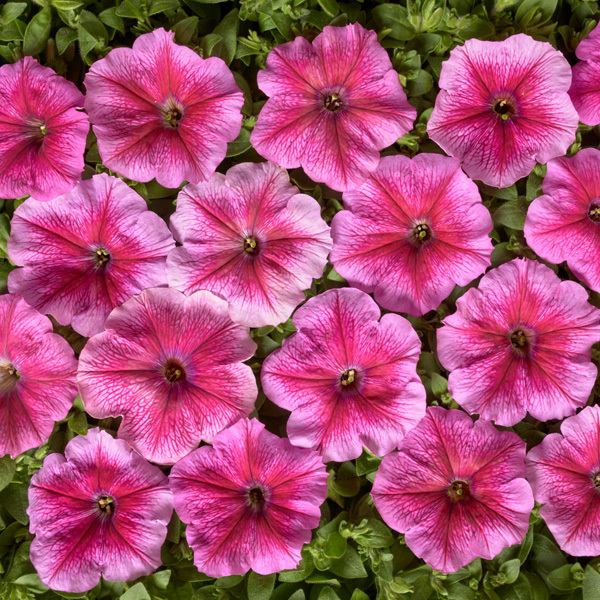 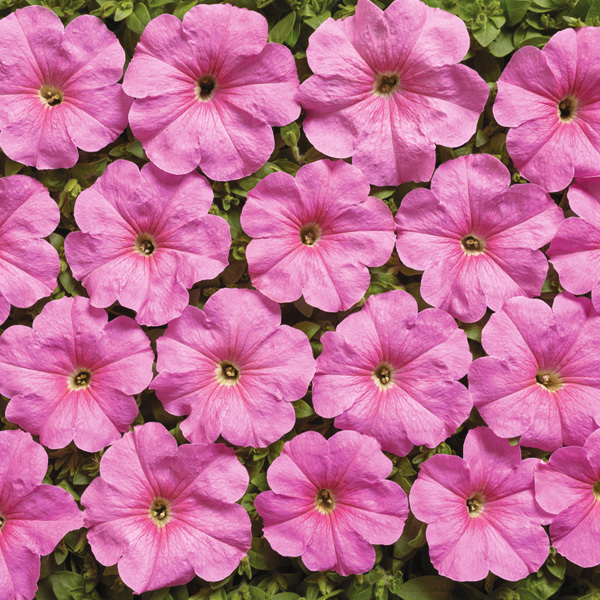 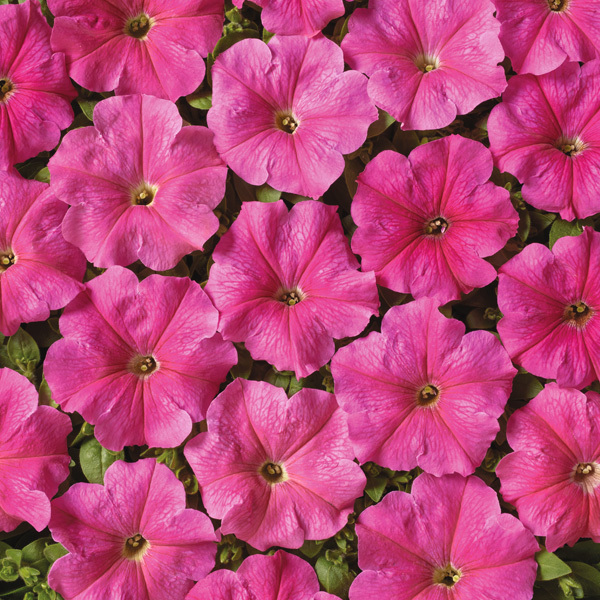 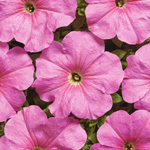 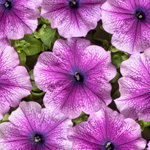 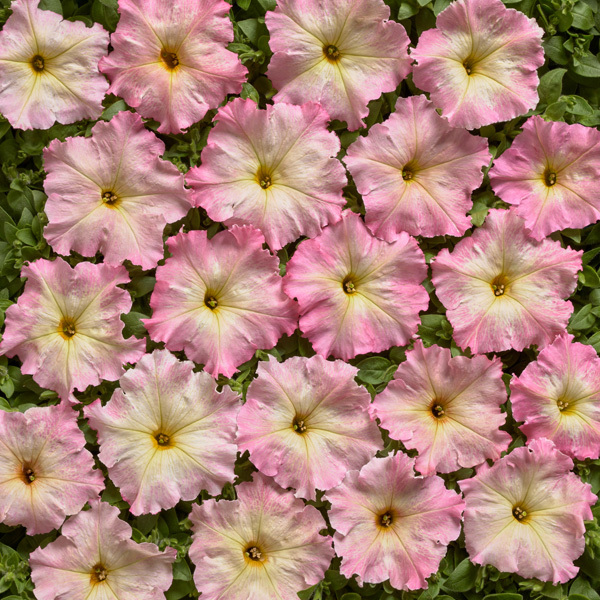 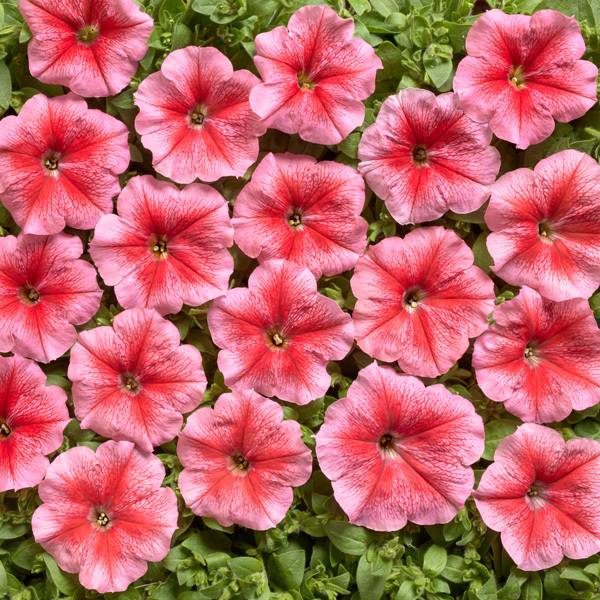 New plants are more compact and lower, pale pink flowers with distinctive bright pink veins in a star formation, the customer obtains an improved quality version of one of the most popular varieties in the group of petunia multiflora.